According to the Joint Commissioning Panel for Mental Health (2012), childbirth is a significant risk factor to women’s mental health. recurrence of a pre-existing mental illness. deterioration of a current mental illness. Many sources quote that one in ten women suffer from postnatal depression but last year (2014) it was reported by the Royal College of Midwives (RCM) that nearly 60% of mothers felt down or depressed after giving birth. This demonstrates that postnatal mental illness is much more prevalent than we are led to believe and that it is not limited to a diagnosis of postnatal depression. In their same report, the RCM states that “encouraging mothers to use soft baby carriers” is recommended. At the beginning of 2015, I conducted a survey which received almost 100 responses, mainly from the North (83%) and South (16%) of Ireland. The purpose of the survey was to capture the personal thoughts, views, feelings and emotions surrounding the ‘impact’ of the practise of carrying baby in a sling or other carrier on mother’s postnatal mental health. A significant majority (91%) of respondent mothers are ‘babywearers’ either currently or in the past. Almost all (93%) were aware of specific benefits of babywearing on postnatal mental health, or were not surprised that there are benefits of babywearing on postnatal mental health. Bonding: aids mother/baby relationship, attachment, closeness. Breastfeeding: supports breastfeeding relationship, helps in coming to terms with the end of the breastfeeding relationship before mother and baby are ready. Responsiveness: recognising and responding to baby’s cues, baby cries less, baby is calmer, easier to settle, baby’s mental health is improved. Coming to terms with a difficult birth. Enabling mother to undertake other activities: tend to own needs and those of other children. Postnatal depression: helps through a period of postnatal depression, helps avoid a recurrence, helps maintain positive postnatal mental health when at risk of developing postnatal depression. Exercising: moderate weight bearing, ability to engage in exercise with baby. 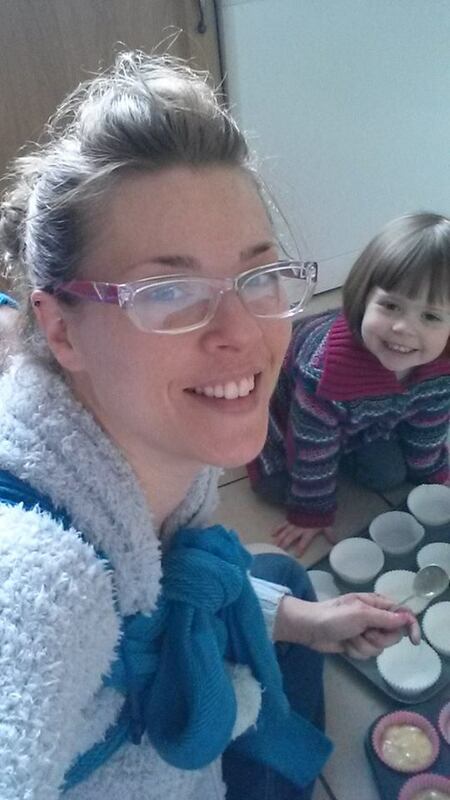 Socialisation: meeting other mothers, building a support network. Interestingly, despite recommendations to encourage the practice, only 3% of mothers surveyed reported receiving information about babywearing from their health care providers. Given the nature of the content shared, the option of anonymity was of great importance. The following quotations are those that were given specifically for the public audience. As you can imagine, this is just the tip of the iceberg. Other raw and heart wrenching contributions were given, many gave permission to disclose them for ‘training and research purposes’ which I can share in person during CPD courses if requested. Themes are listed alphabetically rather than in order of any measure of importance – each is equally important as the other to the individual mother. 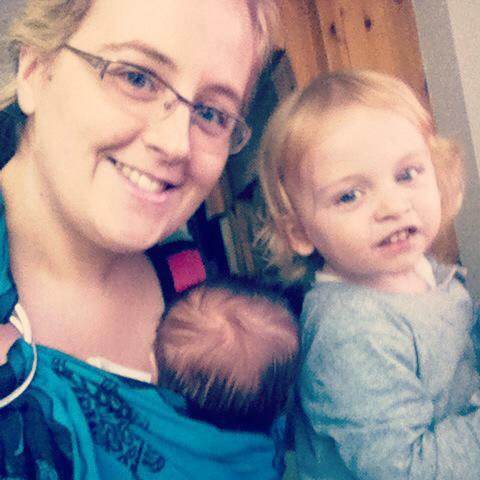 Many mothers felt that babywearing helped them overcome the grief felt when breastfeeding came to a premature end. Babywearing gave mothers a similar continued closeness that they experienced through breastfeeding. The risk of suffering a postnatal mental illness is greater than commonly thought. 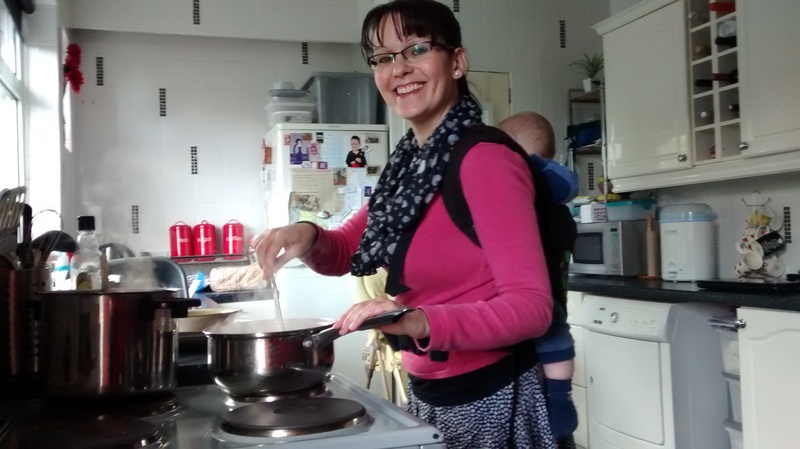 Mothers’ voices are clear: babywearing has a positive impact on their postnatal mental health. For some it is simply the ability to manage day-to-day life and for others it is profound. The benefits of babywearing should not be overlooked. As primates, humans are carry mammals. “carry mammals are the most immature at birth, need the warmth of the mother’s body, and are carried constantly… human infants are meant to be carried and held… a sling should be on everyone’s Essential Newborn Accessories list, rather than being considered just as a nice optional extra. By engaging in babywearing, mothers are using one of the most powerful parenting tools that has served women well since the beginning of time (and clothing!). 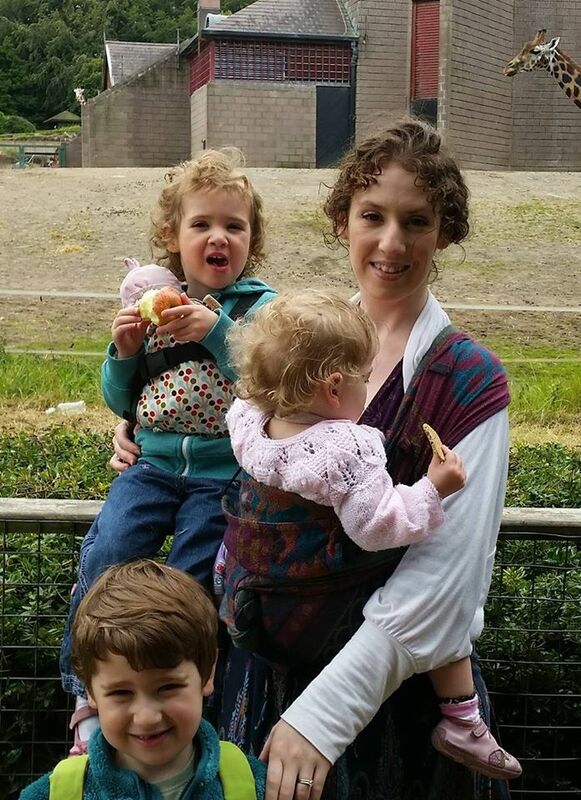 Modern ignorance of, aversion to or alternatives for the practise of babywearing are robbing mothers of so many advantages practically, physically and emotionally: not least their mental health. A concurrent survey of health care providers was carried out. Read what they have to say here. RCOG (2013) Royal College of Obstetricians and Gynaecologists. TOG release: Managing teenage pregnancy. http://www.rcog.org.uk/news/tog-release-managing-teenage-pregnancy. < Previous Breastfeeding and Biting: What to do about it. Next > What is a Babywearing Consultant? Hi Aimee, I am writing a book about perinatal mental health for parents. In the part about protective factors, I am mentioning the benefits of using a sling. I’d like to use some of your women’s quotes, anonymously, but referencing yourself. I wondered if that would be okay? Have you published any of this? Thanks in advance. Thank you for your interest in my piece. I’m glad you found it of value. Perhaps you would like to email me at aimeegourleyni@outlook.com about possibly incorporating some excerpts. 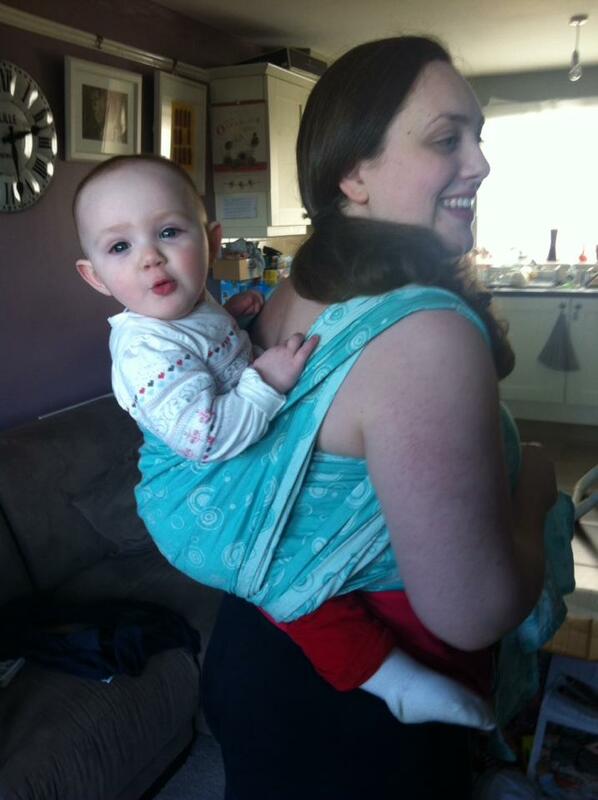 I am so glad you have been reaping the benefits of babywearing too. 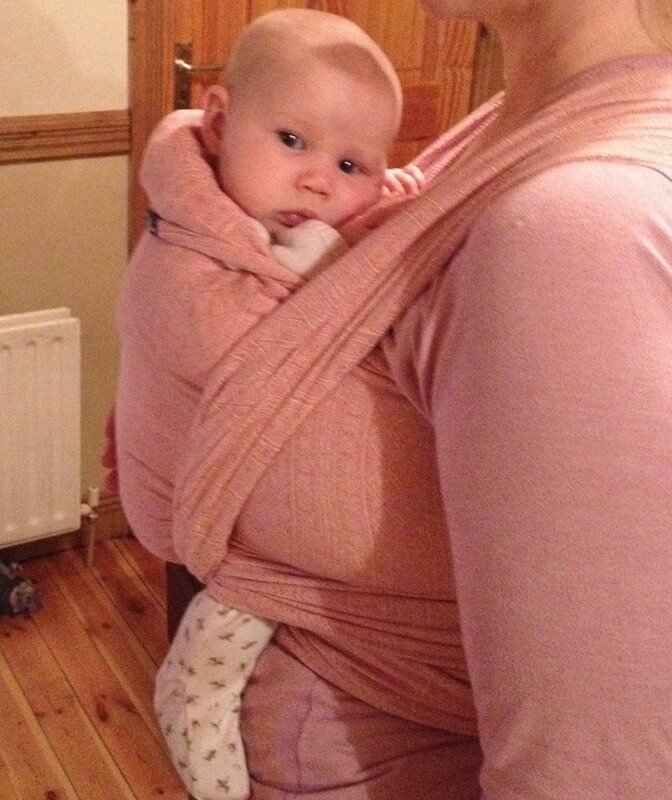 I have found my slings much more useful when parenting more than one child especially in the newborn phase. I hope you have a wonderfully positive birth this summer. You may even like to use a sling you already have during pregnancy and birth – check out Rebozos in Pregnancy & Birth and Rebozo Massage for Fertility, Pregnancy and After the Birth. Whoops. My phone JUST loaded the list as I pressed post. Sorry! I’m glad you’ve found this useful. I would be delighted for you to share it with your colleagues. The reference list is at the end of the article. Sometimes technology can be a little bit slow. I’m pleased you’ve got the information you were looking for. Reblogged this on Therapeutic Babywearing (c). Thank you for your interest in my piece. I’m glad you found it of value. Perhaps you would like to email me at aimeegourleyni@outlook.com about possibly translating the article. Hi I’m soon to become a dad for the first time. Reading this has helped me understand the benefits of baby wearing,whereas before I always thought it was more of a gimmick,and fashion thing. Excuse my ignorance. However I do have a question about the baby’s development whilst in the sling,particularly with newborns. To me,the baby looks rather squished up,and if your carrying them around all day,will this have a possible affect on its spine n legs? Again excuse my ignorance if this is a ridiculous question. 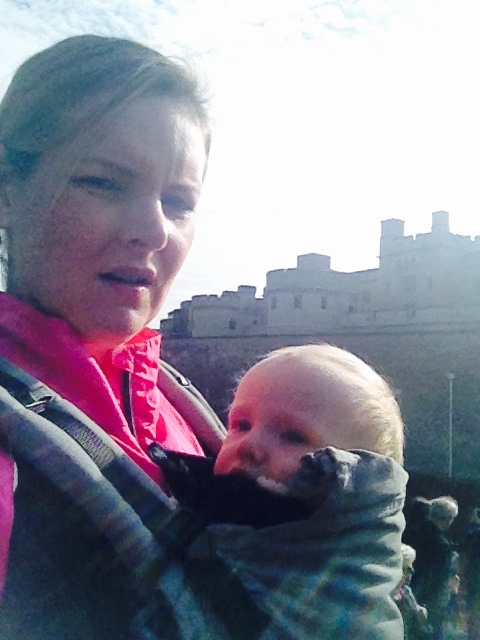 I’m glad to have challenged the misconception that babywearing is a fashionable gimmick. Although many parents do love to have the fashionable carriers, it is more important to find a suitable ergonomic sling or carrier that does the job well i.e. comfortably and safely. You can do this at your local slingmeet. If you are in the UK or Ireland I can point you in the direction of your local group. Regarding spine and hip development, it is important to keep in mind the natural position of baby in the womb: back curved, knees bent – known a foetal position. It is this position that you should replicate when carrying a newborn baby in a sling or carrier while following TICKS guidelines for safe babywearing. A babywearing dad and chiropractic doctor has written on this topic here: http://onyababy.com/2012/09/babywearing-baby-positioning/ This position can be achieved in ergonomic carriers. Thank you for asking the question. The only ridiculous question is one you need the answer to but remains unasked. It might be useful for you to have a look at the information in my blog post called Babywearing: An overview of information which goes into the detail more thoroughly with additional links. Love it kid; keep it up. Dad. 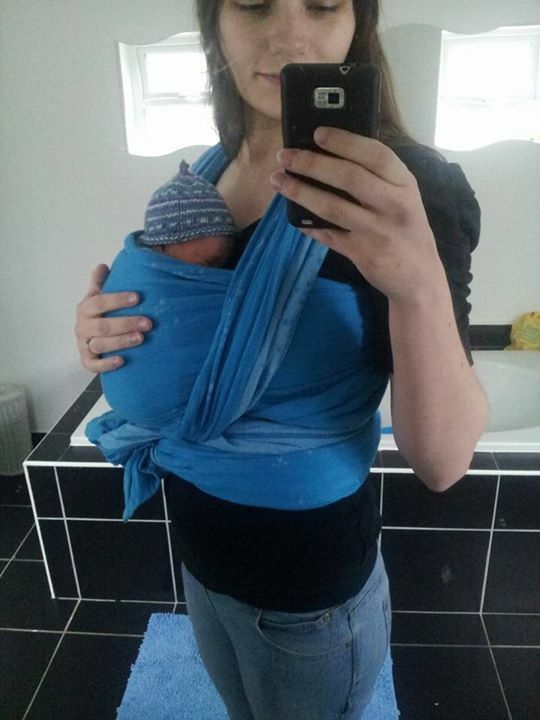 I love ‘wearing’ my baby and it certainly helped reduce my anxiety in the first weeks and calm my baby. I just wish more people would accept the benefits, I am told I am spoiling in him, that he’ll never be happy in anyone else’s care, rod for your own back etc…This made me question my feelings and the amount of time baby was in the sling but I’m glad I stuck with it. This is a really interesting article. 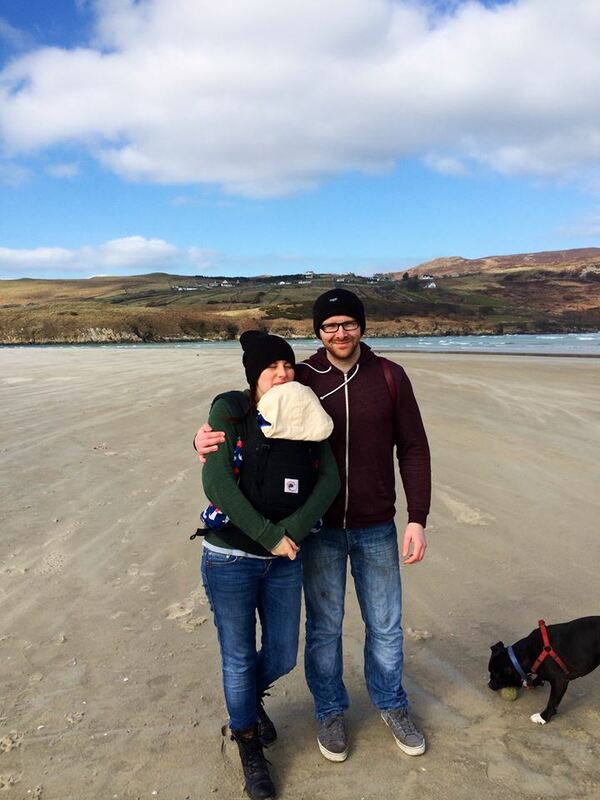 Having read of all the benefits for babies I was keen to babywear from the get go and I did. However I did develop PND and actually grew to associate a lot of negative feelings of being “touched out” with baby wearing. Once I started treatment for PND I took a break from baby wearing and was able to continue with it later once I felt more positively towards my baby. I now baby wear frequently and I love it. 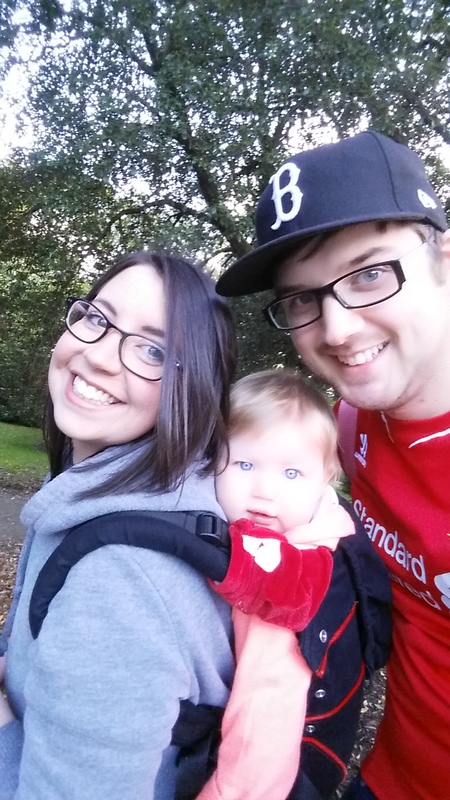 I am absolutely an advocate of baby wearing and would encourage others to do so but I thought that it might be interesting for you to hear another perspective!